What I do with all the free samples I receive…. July 27, 2015 Abby H.
Well, here’s the deal: I donate them. And no, there is no TP under my bed. Just out of season shoes and dust bunnies. 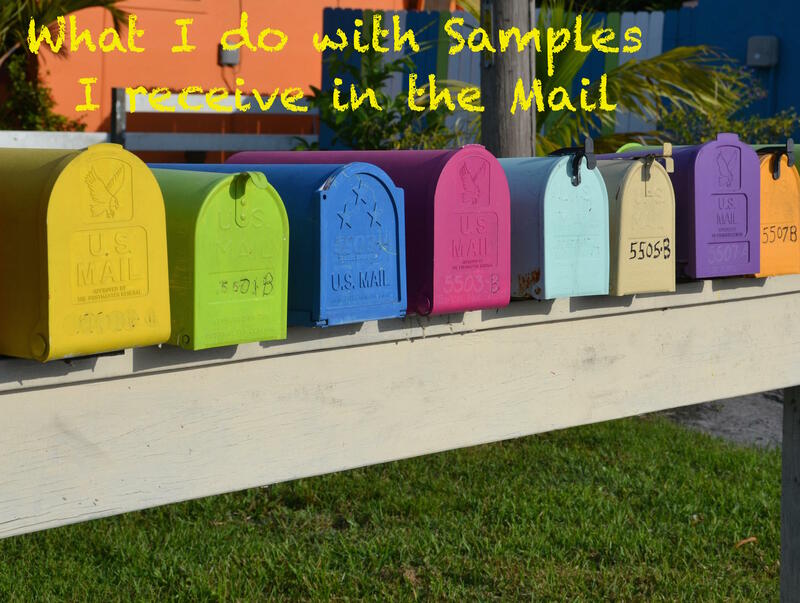 I donate about 90% of the free samples I receive in the mail. The local American Legion post collects small sized toiletries to make into care packages which are distributed to local homeless vets. Additionally, the other local charity that my coupon club supports (Naomi’s Closet) also collects and distributes small sized toiletries to women’s in need. If that sounds like something that appeals to you, you can collect travel/sample sized products and donate them to your local charity of choice. I like MySavings to find top quality freebies. I also sign up for the P&G Brandsaver (it’s a collection of free samples from P&G available once a quarter). Once the samples arrive, I take them out of their shipping container and I have a small box under my bathroom sink where I store samples and donation goodies. I donate the contents of the box each month. I also regularly donate full size products too. For example, my donation budget is $5.00/month. That doesn’t sound like a lot of money, but when I match sales with coupons, I am able to save big, and that $5.00 goes pretty far! So the next time you that I’m posting free sample offers here or on Facebook, know that there will be one headed my way, to help someone in need!